The last thing Gray Edwards has on her mind when she arrives for Basic Training is falling in love, especially with another woman. Annie Randall, who at first blush looks to be her polar opposite, turns out to be someone she can’t live without. Given the perfect setting for romance, with drill sergeants, other recruits, no privacy, wrinkled uniforms and days without showers, what could possibly go wrong? 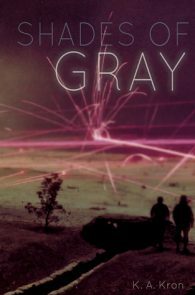 After Basic is over, Gray and Annie find themselves geographically challenged as they pursue their individual careers within the military structure. Gray jumps through all the hoops in hopes of becoming a pilot, along with Dani, who also just completed Basic, while Annie studies to be a doctor. When the schooling is finally over, the reality of their future sets in. Gray is deployed with Dani and Annie takes matters into her own hands so that they can finally be together. Nobody wins in this war, but they fight for what they believe in. 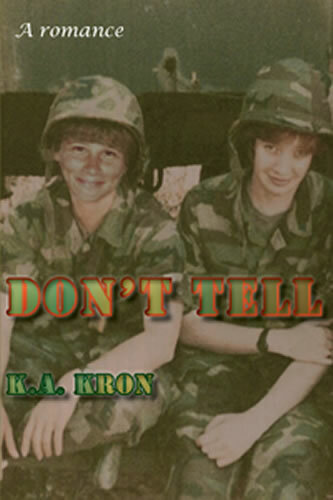 K. A. Kron knows first hand about the faceless veterans who were trapped in a glass closet while serving their country.